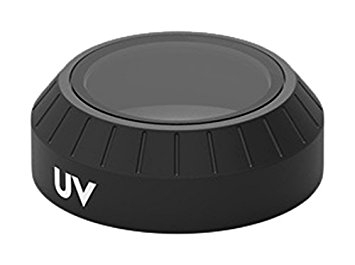 The PolarPro UV Filter for the DJI Mavic can be used to protect the camera lens while flying. The Multi-Coated Glass lens reduces lens flaring and increases light transmission. The PolarPro UV filter is an excellent way to help protect your camera lens in the event of a crash. The aircraft aluminum frame is lightweight, yet very durable. The UV filter can quickly be installed and removed with its pressure fit mounting design. The PolarPro UV filter is an excellent way to keep your Mavic’s lens protected, without effecting optical clarity.